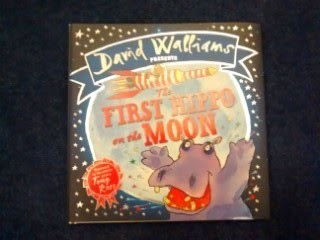 The First Hippo on the Moon is written by David Walliams and illustrated by Tony Ross. 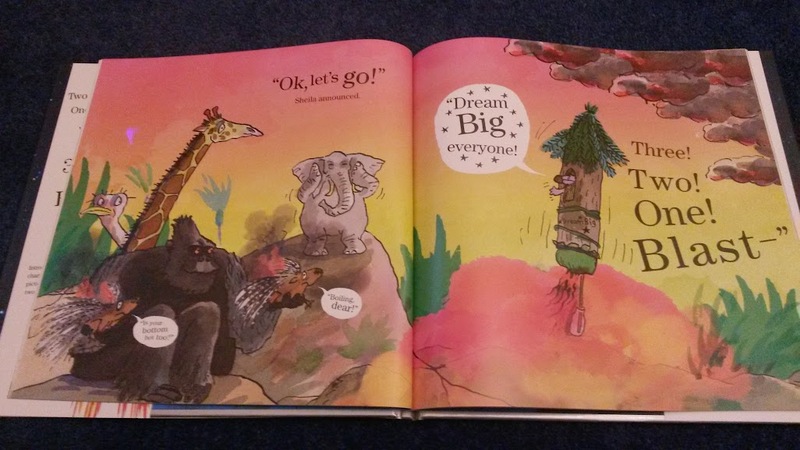 It is a story about two hippos who both want to be the first hippo on the moon. The hippos, Hercules Waldorf-Franklin III and Sheila, both have the same dream but very different ways of achieving it. 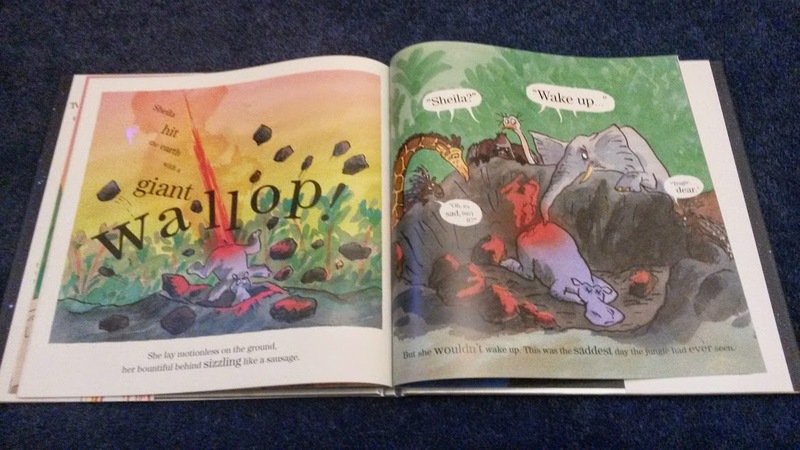 David Walliam's books are always well written and the humour really appeals to children (and adults too). The page with the bottom burp raised lots of giggles in our house. Tony Ross's illustrations are bright and colourful and there is plenty to look at on every page. I like how the writing changes size and on some pages even becomes part of the illustrations. The speech bubbles add additional comic humour to the story. Disclaimer - We received the book for the purpose of the review but all words, opinions and photos are our own.